Ending the war in Afghanistan - Iraq redux? End of American combat operations in Afghanistan - Kabul, December 28, 2014? 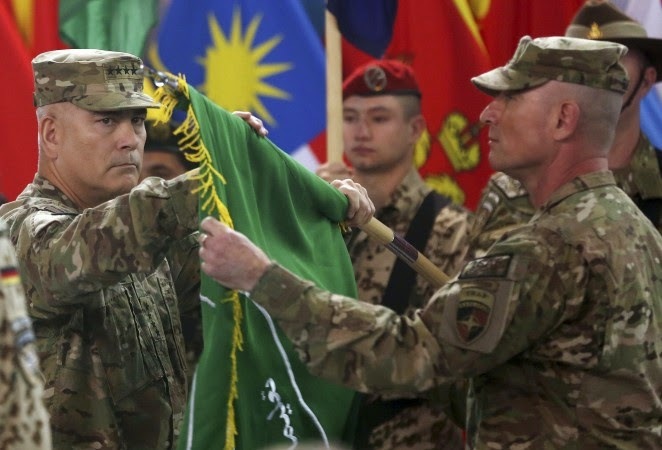 In a ceremony in Kabul yesterday, the United States announced that it has formally ended its combat mission in Afghanistan and had turned over security of the country to the Afghan armed forces and security services. There will still be American troops in Afghanistan - 10,000 of them along with 4,000 troops from other NATO nations - to train, advise and assist the Afghans in their continuing fight against the Taliban and remnants of al-Qa'idah. "Thanks to the extraordinary sacrifices of our men and women in uniform, our combat mission in Afghanistan is ending, and the longest war in American history is coming to a responsible conclusion. We are safer, and our nation is more secure, because of their service. At the same time, our courageous military and diplomatic personnel in Afghanistan--along with our NATO allies and coalition partners--have helped the Afghan people reclaim their communities, take the lead for their own security, hold historic elections and complete the first democratic transfer of power in their country's history." I appreciate the President's words of thanks to our military personnel. Despite six years of amateurish leadership at best and willful neglect at worst, American armed forces have performed well. That said, I have to ask in what universe the President believes that the Afghan people have reclaimed their communities, are capable of taking the lead for their own security and have established a democratic government? Does he really believe that the United States is safer and more secure? Just like the now-obvious mistake the President made by precipitously withdrawing American forces from Iraq in 2011, it appears that we are conducting American foreign policy on an artificial, politics-driven schedule. "...our combat mission in Afghanistan is ending, and the longest war in American history is coming to a responsible conclusion." There are two independent clauses in that sentence; neither of which are accurate. Our combat role is not over. Just last month, the President secretly - secretly because it does not fit the political narrative - authorized American forces (ground and air) to continue combat operations into 2015 against the Taliban, al-Qa'idah and other insurgent groups. That authorization is a patent admission that the Afghans are not ready to "take the lead for their own security." The President is not ending the war, he is walking away from it, on his predetermined schedule just as he did three years ago in Iraq. The war continues - if it had come to an end, there would be no need to authorize continued American combat operations. "We are safer, and our nation is more secure...."
It seems to me that the events of the past year belie that thought. We are not safer - according to the President's own Director of National Intelligence, al-Qa'idah and its affiliate organizations are on the rise across the Middle East, Africa and South Asia. One only need to look at the rise of the Islamic State in Iraq and Syria (ISIS) to understand that the threat is increasing, not decreasing. If ISIS was not a threat, the President would not have deployed squadrons of fighter and bomber aircraft to the region and begun airstrikes in Iraq and Syria. I suspect that in a few years, we will be having the same conversation about Afghanistan that we are having today about Iraq. The war in Afghanistan is not over, our combat role is not over - the only thing that is over is the ceremony. It was just political theater. This is Part Two of a two part article. See Part One and the Addendum, which deals with the comparatively clear situation in Iraq. This part deals with the confusion in Syria. The situation in Syria makes Iraq look like the model of clarity - there are myriad cooperating, competing and conflicting interests simultaneously at play in the country. These various interests make a solution to the political turmoil and civil war much more difficult, if even possible. In Iraq, there is one enemy - the Islamic State in Iraq and Syria (ISIS) - and several parties all focused on defeating that enemy. In Syria, however, there is a multifaceted war that has created a situation which borders on anarchy. To simplify some of the confusion, in essence there is a three-way war being fought. The major antagonists are the Syrian regime, ISIS and the Free Syrian Army (FSA). Some background is in order. A civil war erupted in Syria in March of 2011 as groups of young Syrians began to demand reforms of the Bashar al-Asad regime, following the example of their brothers and sisters in Tunisia and Egypt who were participating what the media dubbed as the "Arab Spring." The al-Asad regime responded by ordering the Syrian armed forces to brutally crush the demonstrations. The resulting death and destruction caused revulsion among many in the ranks of the military - massive defections followed. Many of the defected officers and soldiers established the FSA. 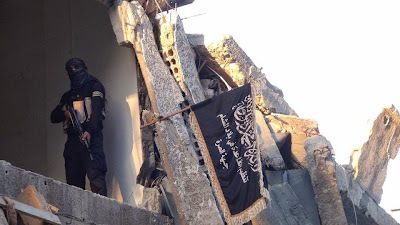 In 2012, when the FSA failed to secure adequate assistance from Western or Arab nations, the group formerly known as al-Qa'idah in Iraq (AQI) sent fighters from Iraq to Syria to fill the power vacuum, creating an al-Qa'idah affiliate in Syria known as jabhat al-nusrah - tanzim al-qa'idah fi bilad al-sham (The Victory Front - Al-Qaidah in the land of Syria). While nominally there to assist the FSA in the removal of Bashar al-Asad, Jabhat al-Nusrah began to fight the FSA as well - its goal was to set up an Islamic state - and seize territory, taking advantage of the lack of authority in many parts of the country. 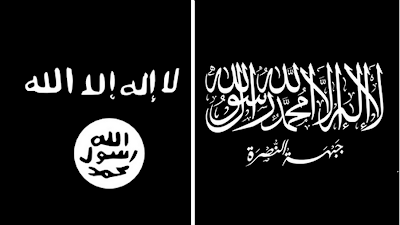 In 2013, the group merged with AQI and created the larger organization known as ISIS. ISIS rejected its ties to al-Qa'idah leadership, claiming instead that it had established the new caliphate. The declaration of the creation of a caliphate caused Jabhat al-Nusrah to split from ISIS - to this day it maintains its status as the "authorized" al-Qa'idah element in Syria. 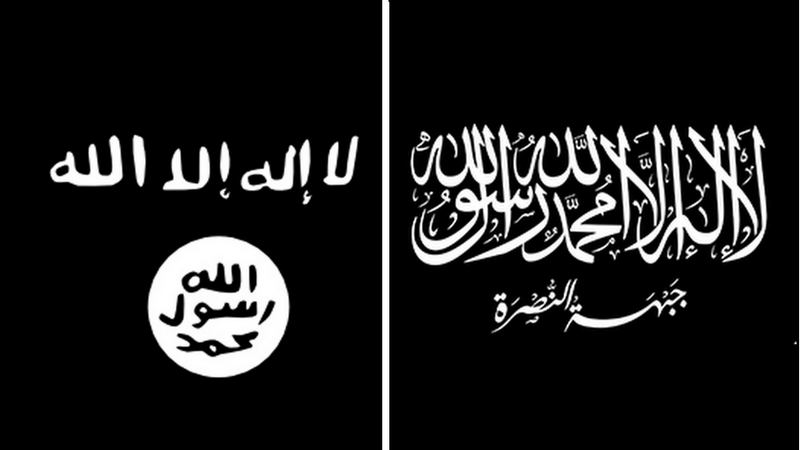 In late 2014, ISIS and Jabhat al-Nusrah entered into a tactical alliance to fight both the al-Asad regime and the FSA - the future of that alliance is unknown. The presence of Jabhat al-Nusrah in Syria and the emergence of ISIS created a three-way (and at times a four-way) war in the country. In addition, there are a host of unaffiliated armed groups who sometimes ally with the FSA and at other times act independently. These include local Islamist and secular groups, as well as the Syrian Kurds. The Kurds are a special case. They have at times supported the al-Asad regime and other times opposed it, but are now locked in a major confrontation with ISIS along the Turkish border. The media has closely covered the intense fighting in the city of Kobani (Arabic: 'Ayn al-'Arab) between ISIS and the local Kurdish militia supported by coalition (almost exclusively American) airstrikes. American support of the Kurds is more about ISIS than supporting the Kurds. It appears that the United States is attempting to support the removal of the al-Asad regime at the same time attempting to defeat ISIS. The attacks on ISIS began in response to ISIS successes in Iraq after its seizure of Mosul in June of this year - the U.S. led coalition is treating ISIS as one target set (correctly, in my opinion). The United States is trying to accomplish two separate and distinct foreign policy goals - either one of the goals is achievable, however, achieving both presents major challenges. In its attempt to support the overthrow of Bashar al-Asad, the United States is providing money, weapons and training to the FSA. The recently introduced and much feared American TOW antitank missile has already taken a toll on Syrian Army armored vehicles. The FSA has made no secret that its focus is and will remain the removal of the Bashar al-Asad government, but has been pragmatic enough to accept the materiel support from the west under the guise of being the Obama Administration's "boots on the ground" in the fight against ISIS. Although they are the sole designated recipients of the TOW missiles, these missiles have shown up in the hands of Jabhat al-Nusrah. There are numerous videos posted on social media of Jabhat al-Nusrah fighters using the weapons to devastating effect. ISIS is being attacked by some members of the U.S.-led coalition - other coalition members have restricted their pilots to only operating in Iraq. The air situation has been complicated by the December 24 downing (cause as yet unknown) of a Royal Jordanian Air Force F-16 near the ISIS stronghold of al-Raqqah, and the continuing air operations of the Syrian Air Force, often in the same areas. While there is no coordination or cooperation between the coalition and Syrian forces, the coalition does notify the Syrians of impending air activity. In some areas of central Syria, there appears to be if not cooperation between ISIS(with Jabhat al-Nusrah) and the FSA, at least a willingness to allow the other group to have freedom of operation. Jabhat al-Nusrah just recently was able to seize two key Syrian army garrisons near the city of Ma'arat al-Nu'aman, allowing the al-Qa'idah group to control a large section of the main highway linking the two major cities of Damascus and Aleppo. The group has also set up operations at a Syrian air base that the FSA had seized early last year. ISIS is currently engaged in a major assault of a Syrian airbase in Dayr al-Zawr on the Euphrates River - a target the FSA has been trying to seize for at least two years. For its part, the Syrian regime is being supported by Iran and Iraq. There are fighters from Iran's Islamic Revolutionary Guard Corps (IRGC) Qods Force, Iran's client/proxy Lebanese Hizballah, as well as Iraqi Shi'a militias currently fighting in Syria. If it was not for the introduction of Iranian special forces and Hizballah fighters in 2012, the Syrian regime may have fallen to the FSA. The situation in Iraq is relatively clear. ISIS is the enemy and everyone else, whether cooperating or not, is focused on the defeat of the Islamist group. The strategy is to use coalition airpower to stop ISIS's advance and hold it at bay while coalition advisers re-train and re-equip the Iraqi armed forces, who will then launch a counteroffensive and either destroy ISIS or force it to withdraw to Syria. If the Iraqis are up to the task, the strategy has a chance of success. If not, members of the coalition (read: the United States) will have to deploy combat forces to defeat ISIS. The situation in Syria is chaos. The Islamic State in Iraq and Syria (ISIS) claims to have downed a Royal Jordanian Air Force F-16 with an infrared guided missile (sarukh harari) today. The aircraft was conducting airstrikes on targets 11 kilometers east of the self-proclaimed ISIS capital city of al-Raqqah. 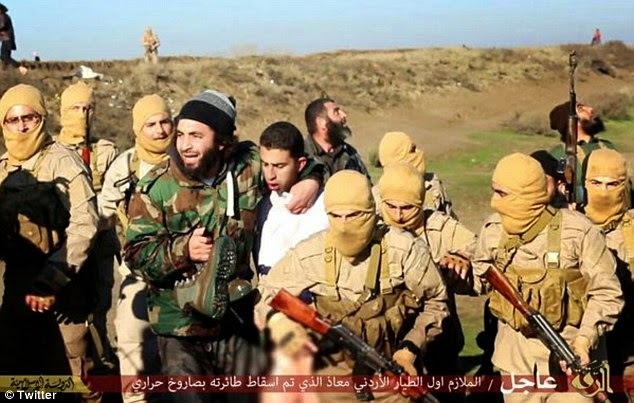 ISIS has published photographs of the pilot being taken into custody - one is shown above. Arabic language media has identified the pilot as 27-year old 1st Lieutenant Ma'az Safi Yusif al-Kasasbah. The RJAF has acknowledged the loss of the aircraft and the capture of the pilot, and is holding ISIS responsible for the safety of the pilot. The family of the flier has also confirmed that the pictures posted by ISIS on social media indeed show Ma'az al-Kasasbah, and that he is a pilot in the Jordanian air force. It is not clear if the aircraft was shot down or was lost due to a problem with the aircraft. ISIS is in possession of hundreds of Russian-made and Chinese-made shoulder-fired infrared-guided missiles that the Islamist group has seized from both Syrian and Iraqi army units, as well as the Free Syrian Army. The missiles are capable of downing low-flying aircraft, including fighter aircraft. 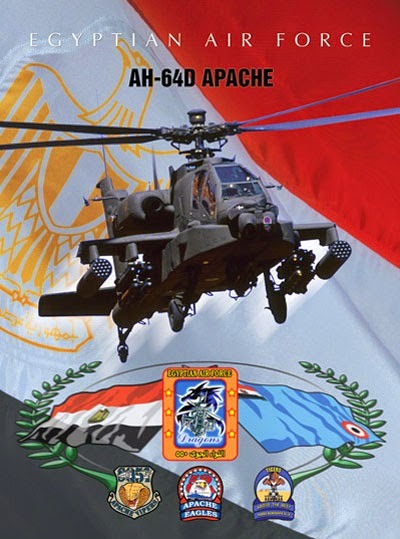 The Syrian air force has lost numerous helicopters and fixed wing aircraft to such missiles. The F-16 - which is flown by several countries who are members of the coalition, including the U.S. Air Force - is equipped with heat flares to defeat these systems, but they are not foolproof. Today's loss of an aircraft - whether a shootdown or not - highlights the danger coalition pilots face every day, especially over Syria and near the ISIS stronghold of al-Raqqah. This danger is complicated by the fact that the Syrian Air Force is also conducting airstrikes in and around al-Raqqah. ISIS has concentrated much of its air defense weaponry near al-Raqqah. The risk of such events cannot be ignored. ISIS now has a trophy - a coalition pilot, in this case an Arab and a Muslim. This creates a serious situation for the coalition, especially the Jordanians. The question is whether ISIS will use the pilot for potential leverage against the Hashemite Kingdom, or murder him in a grisly manner and publish the event on social media. ISIS has beheaded at least three Americans and several other nationalities in the recent past. An indication of how he might be treated is the description in Arabic, al-tiyar al-urduni al-murtad - "the apostate Jordanian pilot." Under Islamic law, apostasy is punishable by death. Captured Arab military personnel - both Syrian and Iraqi - have been summarily murdered, often beheaded and the videos of the murders posted online. Given the location of the pilot's capture - deep in the heart of ISIS's territory, the chances of a successful rescue are extremely small. The next move is up to ISIS. The Jordanians are a small country and will rally around their pilot and his family. In that vein, there have been at least seven Arabic-language Facebook community pages set up in solidarity with the captured pilot with more than 25,000 followers. If the Iraqis are not able to defend the ['Ayn al-Asad] base, the Obama Administration will be forced into a tough decision - do we pull out of al-Anbar province and leave the Iraqis to fend for themselves - which means almost certain defeat - or do we make a stand and deploy American combat units to the area - the dreaded "boots on the ground?" Given the abysmal condition of the Iraqi armed forces, it may just come to that. Typically releasing news on a Friday afternoon that it would prefer not get too much notice, the Obama Administration announced that 1,300 additional American troops will be deployed to Iraq after the Christmas holiday season. Of that number, 1,000 are members of the U.S. Army 82nd Airborne Division's 3rd Brigade Combat Team (BCT). Let's take a closer look at the inclusion of members of the division's 3rd BCT in this deployment. The forces currently deployed to Iraq are mostly special operations forces, whose expertise includes training of foreign forces to defend against insurgencies - the actual vernacular is "foreign internal defense." This is a core mission of the U.S. Army Special Forces (the "Green Berets") - they excel at it. 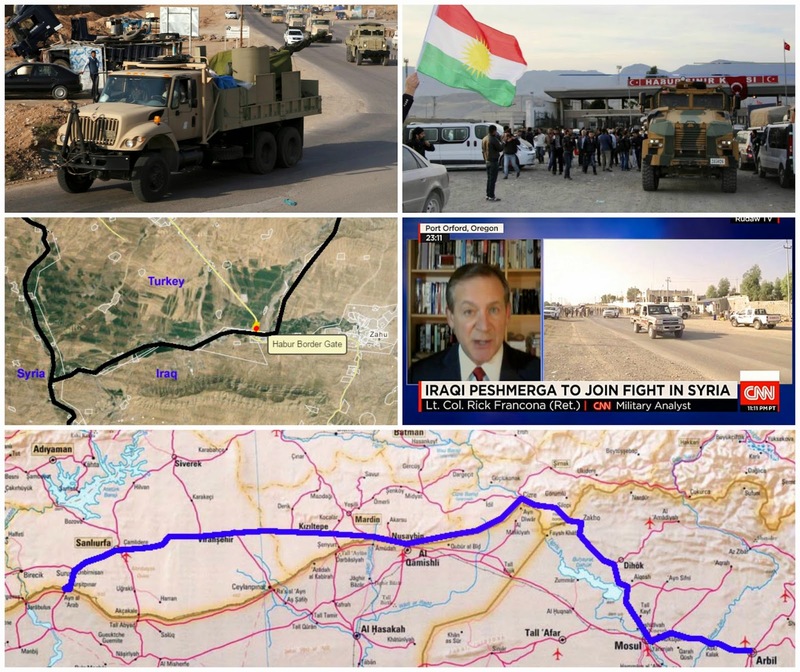 The stated mission of the American troops deployed earlier this year was to "train and advise" Iraqi security forces and Kurdish peshmerga units. The wording was meant to exclude the use of American forces in a combat role. That was later changed to a "ground" combat role as it became obvious that American pilots (from all services) were operating in a combat role. The mission of the additional troops who have been alerted for deployment has been described as "train, advise and assist." It is the "and assist" that stands out. 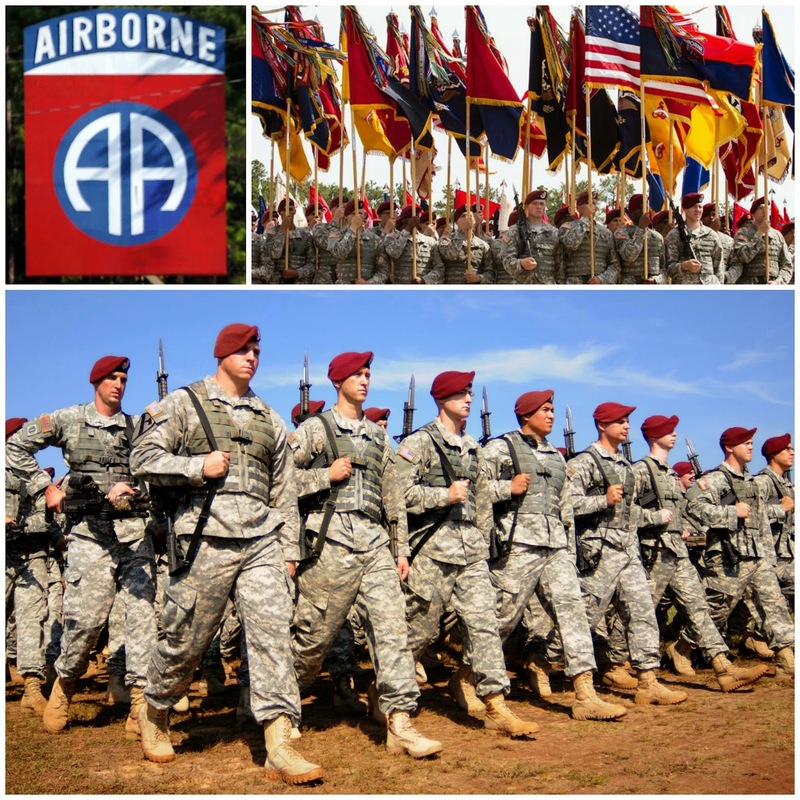 The paratroopers of the 82nd Airborne Division are not trainers or advisers, although they are likely qualified to do so - these are some of the best combat troops in the U.S. armed forces. I suspect they are being deployed to fight. What does this tell us? It tells us that the Iraqi security forces - Army and police units - are incapable of defending the country. The situation is worse than originally thought. The initial cadre of 300 trainers and advisers is about to far exceed 3,000 - a ten-fold increase in less than six months. Let's not forget the fact that the 3,000 figure only includes troops in Iraq, and does not count the over 15,000 based in neighboring countries supporting those in Iraq or conducting the scores of combat air sorties every day. Time is running out for the Iraqis and President Obama's options are diminishing. As ISIS continues its relentless attacks and Iraqi forces continue to fail, it may come down to committing American combat troops to the fight. This deployment may be the first step. There are two different wars ongoing in the Middle East, although nominally both of them are targeting the same enemy - the Islamic State in Iraq and Syria - ISIS, also known as the Islamic State in Iraq and the Levant, or the Islamic State, or the Islamic Caliphate. In a perfect military world, this would be one war being waged on two fronts, with coordinated operations and attacks aimed at defeating the single enemy across the entire theater of operations. What we have in reality is one war against ISIS inside Iraq and another war against ISIS inside Syria - the former is rather straight forward while the other is almost hopelessly chaotic. Looking at Iraq, we have a war on ISIS conducted by the Iraqi armed forces and the Kurdish peshmerga ("those who confront death") supported by a U.S.-led coalition which includes Arab and non-Arab states, as well as Iranian special forces and fighter pilots, with some Russian advisory support. 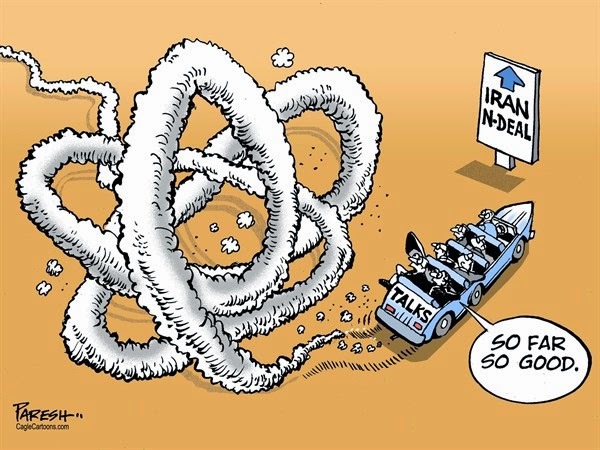 Although it might sound complicated, it seems to work as long as the Iranians and Russians realize they are minor players in this action and remain in the background. It is a coalition in name only - the U.S. Air Force (overwhelmingly) and U.S. Navy are carrying the water (as much as 95 percent of the sorties), with limited support from the other members. To those of us who have served in coalitions or NATO before, this is business as usual - the United States is always the "big kid on the block" and provides the lion's share of the resources. Coalition air forces are striking targets all over the country, sometimes in direct support of Iraqi army or Kurdish peshmerga forces, and at times hitting strategic ISIS targets far from the front lines. They are also striking targets in Syria - at least in the air, ISIS is being treated as a single target set. There have also been a few independent airstrikes by the Islamic Republic of Iran Air Force (IRIAF) in Iraq's Diyala province near the Iranian border. These strikes were in support of Kurdish peshmerga forces attempting to oust ISIS from positions near the city of Jalula' and regain control of the important al-Hamrayn dam. While the U.S. Central Command claims there is no coordination between the American-led coalition and the IRIAF, there is likely coordination via the Iraqi armed forces. It is inconceivable that American tactical air commanders would permit unidentified aircraft to operate in close proximity of U.S. aircraft or U.S. ground forces deployed to the country. The days of unknown/uncleared entities approaching American forces without challenge ended with the 2000 attack on the USS Cole (DDG-67) in Aden harbor. When ISIS routed the Iraqi Army and seized the second-largest city of Mosul earlier this year, the true state of Iraq's armed forces was laid bare for all to see. After the departure of American forces in 2011, Iraqi forces deteriorated into a corrupt army worthy of a third-world country. Now we have almost 3,000 American "advisers" in Iraq. Those advisers are in Iraq to train Iraqi Army units - the same units we spent millions of dollars training before the premature American withdrawal in 2011. There is a bright spot, however: President Barack Obama has realized that the re-introduction of American troops is in the best interests of the United States - better late than never. The strategy in Iraq is simple, and has a chance of working. The coalition is going to re-train and re-equip the Iraqi armed forces, including the Kurdish peshmerga units. It will take time and a commitment from the newly elected Iraqi Prime Minister Haydar al-Abadi to allow merit and competence to determine senior officer appointments, not political connections. If the coalition advisers can get the Iraqis back into fighting shape and continues to provide adequate air support, there is a chance that ISIS can be defeated in Iraq. That victory is defined as the destruction of ISIS units in Iraq or forcing their withdrawal back to Syria. Recent actions show mixed results. In some cases, especially in and near the Kurdish areas in the north, ISIS seems to have been halted in its advances; in some areas, they have been pushed back. That is not always the case. For example, the city of Bayji, the location of the largest oil refinery in the country, has changed hands several times. Al-Anbar province in the western part of the country, remains the venue of fierce fighting as ISIS continues to advance in the Euphrates Valley. A major battle appears to be on the horizon at an Iraqi military training facility at 'Ayn al-Asad air base. ISIS has been steadily moving toward the base for months. Last week, they attacked the base. However, the 200 American special operations troops assigned to the base as trainers engaged the attacking force, called in airstrikes and decimated the attackers. It was a stark reminder that there are American ground forces in harm's way. ISIS will not give up easily - they will continue to attack the air base. This battle will be the bellwether of the future of the war in Iraq. If the Iraqis are not able to defend the base, the Obama Administration will be forced into a tough decision - do we pull out of al-Anbar province and leave the Iraqis to fend for themselves - which means almost certain defeat - or do we make a stand and deploy American combat units to the area - the dreaded "boots on the ground?" Given the abysmal condition of the Iraqi armed forces, it may just come to that. Part Two will deal with the confusion in Syria. * Disclosure: I am a paid military analyst for CNN. Brooke and Jim are two of my favorite colleagues at CNN. The Feinstein Report - a lame duck attack on the CIA? Note to my readers: This differs from my usual analysis and ventures into political commentary. The subject matter is germane to the Middle East but involves U.S. politics. If you are not interested in my opinion on domestic politics, now is the time to hit the "BACK" button. "There may never be the right time to release this report. The instability we see today will not be resolved in months or years, but this report is too important to shelve indefinitely." Yes and no, Senator. Your first statement was correct, your second was not. The report that you believe needed to be released today is the work of the staffers of only the Democratic members of the Senate Select Committee on Intelligence (SSCI). That fact alone calls into question the credibility of the report. I have downloaded the 500+ page redacted executive summary (download it here) of the $40 million 6000+ page report based on over six million pages of data. 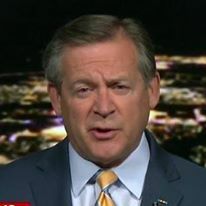 I will read it, as I consider it part of my role as a CNN military analyst to do so, but it seems to me that when one political party selects what is in the report, it cannot be unbiased. One thing that struck me from the outset was Senator Feinstein's description of the major findings in the executive summary. Of the 20 findings, not one was positive. 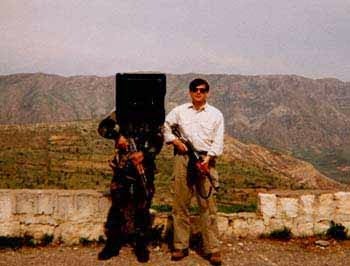 For a period of time, I was an Air Force intelligence officer - an Arabic-speaking case officer - assigned to the CIA Directorate of Operations (DO). The DO was considered the combat arm of the intelligence community - when I was there, you did not run an operation for over five years without positive results. No results, no operation. So what we have is a partisan report. The staffers, probably none of whom have ever served as professional intelligence officers, did not bother to interview any of the interrogators or analysts who were involved in the program they sought to evaluate. I must confess that I am disappointed in the SSCI staff. That staff was - 15 years ago - a truly bipartisan committee with professional non-partisan staffers. * That means that the staff worked for the committee, not individual members. That is no longer the case - staffers are hired by, and are loyal to, individual members. That is what I call partisan, not professional. Unfortunately, some media outlets merely have accepted the report as the gospel. Many will point to the remarks of Senator John McCain. I have nothing but respect for the former Navy pilot and prisoner of war, but I do disagree with his assessment of the efficacy of torture. His torturers were there to inflict pain to acquire information for propaganda purposees, while a professional intelligence service can be effective in extracting useful intelligence information - the Germans in World War II were quite skilled at it. The timing of this is suspect. When questioned by CNN's Wolf Blitzer about the possibility that the release of this report might place American troops or diplomats abroad in danger, she said that if people were killed because of the release of the report, she would "feel badly" about it. I will let the readers determine their own reaction to that. 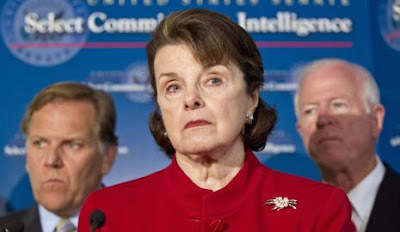 I am sorry to have to say this, but I have come to the conclusion that the release of this report just weeks before the senator loses her position as chair of the SSCI is nothing more than a lame-duck attack on the CIA. I am not sure why the senator chose to take this action, but I am not buying Vice President Joe Biden "transparency makes us stronger" kumbaya drivel. I view this as nothing more than a blatant attempt by this Administration (who I believe pressured Senator Feinstein to do this - she is usually much smarter than this) to embarrass former President Bush and to strike out at the Republican Party, the party that the American body politic believes needs to be in control of the Senate and House of Representatives. This report contributes nothing to the debate - it merely opens an old wound at a time when we need to confront external threats to the country, not revive an old internal, partisan battle. This was not the right time - perhaps, as the Senator says, there may never be a "right time" to release this. * Disclosure: My wife was a professional (not partisan) staffer on the SSCI. 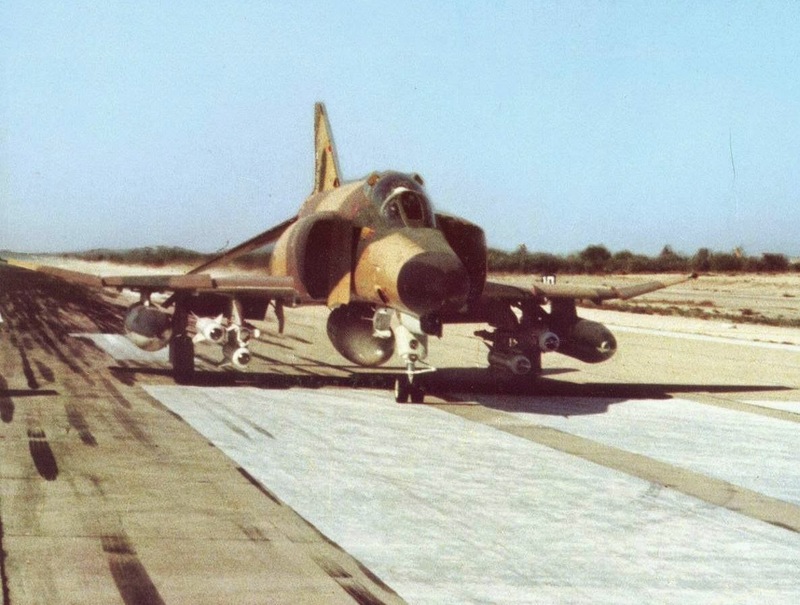 The likely fall of Syria's Dayr al-Zawr air base - another slaughter on the horizon? Numerous media and the information (read: propaganda) office of the Islamic State in Iraq and Syria (ISIS) are reporting the imminent fall of Dayr al-Zawr air base. The loss of this air base would be a significant blow to the regime of Syrian President Bashar al-Asad. As evident on the map above, Dayr al-Zawr is the key military installation in eastern Syria, even more key since the fall of al-Raqqah and the garrison of the 17th Division earlier this year. Al-Raqqah is the current, temporary self proclaimed capital of the Islamic State - re-establishing the caliphate in Baghdad remains the ultimate goal of the Islamist organization. Since late 2011 and continuing until now, elements of the Free Syrian Army (FSA) have made repeated attempts to take Dayr al-Zawr air base, with varying degrees of success. While they were somewhat successful in taking ground near the base, attacking the base with mortars and artillery - even hitting aircraft on the tarmac - they were never able to breach the defenses and seize the facility. Some history is in order. For years, the base has been low on the priority list of the Syrian armed forces. It is located in the center of Syria, far removed from the main areas of concern to Damascus - mostly focused on its neighbors Israel, Jordan, Lebanon and Turkey. Most of the Syrian defense budget was spent on defenses in the southwestern and western part of the country - the expected avenues of attack from what it perceives as its principal threat, Israel. That perception was reinforced by the December 7 Israeli air attacks on two areas near Damascus. In the mid-1970s when Syria began to fill the al-Asad Dam on the Euphrates River near Tabaqah (east of al-Raqqah), Iraq threatened military action against Syria because of the reduced flow of water. In the few months of increased fighter patrols and a few incursions by both sides, the base was an important facility. Additional - and more capable - fighter aircraft were moved temporarily to Dayr al-Zawr to confront Iraqi fighters. At that time, both sides were flying the Russian-built MiG-21. After the al-Asad dam crisis abated and for the next four and a half decades, the base returned to its secondary priority status. It was mostly used as a civilian airport for those Syrians who did not want to make the six hour drive from Damascus. I have driven from Damascus to Dayr al-Zawr (and beyond) on numerous occasions - it is a long drive through the desert; beautiful, but long. The importance of the base has taken on new meaning since the outbreak of the Syrian civil war in 2011. Opposition military attacks have taken place all over the country, virtually everywhere except in the heavily defended center of Damascus. Dayr al-Zawr governorate - center of Syria's oil industry - was no exception. Since the fighting began, rebels sought to seize oilfields and oil processing facilities in the area. The Syrian regime reinforced the military garrisons in the area, including the 17th Division in al-Raqqah and the Dayr al-Zawr air base. There is a large air defense installation adjacent to the air base which houses the additional Syrian forces deployed to the area. Looking at imagery, it would appear that ISIS (or the FSA in the past) might have an easy time of moving from al-Jafrah across the highway to the air base. Actually, the army/air defense installation sits on a ridge that commands the entire area, complicating the situation for anyone approaching the air base. While the FSA was able to get as far as the outer defenses, they were always under the guns of the defenders dug in on the high ground. If ISIS fighters follow their usual tactics, the group will lay siege to the air base and the adjacent air defense facility. When either the FSA or ISIS has cut off Syrian forces in the past, the Syrian Air Force attempted to drop ammunition and supplies by helicopter. However, because Dayr al-Zawr is remote and not near other Syrian air bases, this option may not be viable. The Syrians, as they did in al-Raqqah, will likely be forced to surrender. In the past - in both Iraq and Syria - surrendering to ISIS has proven to be nothing but the prelude to a bloodbath. When Iraqi military units collapsed and many soldiers were taken prisoner, most of them were killed in gruesome displays of cruelty - that continues to happen in the Euphrates Valley in Iraq. When the Syrian 17th Division garrisons were taken in al-Raqqah, ISIS went on a killing rampage, beheading scores of Syrian troops and simply machine-gunning others. Given that background, the Syrians may choose to fight to the last man. If the military installations in Dayr al-Zawr fall to ISIS, I suspect there will be another slaughter, all captured on video and posted on social media. 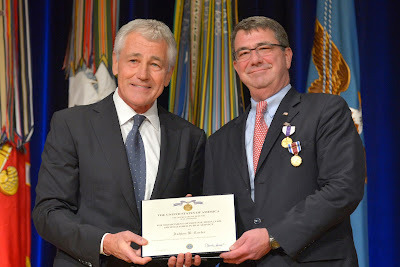 The new Secretary of Defense - we need a "wartime consigliere"
Last week, CNN called and alerted me that Secretary of Defense Chuck Hagel was about to announce his resignation, and that I should be ready to offer my analysis of the impact of Hagel's upcoming departure. I subsequently made three appearances on both CNN and CNN International to provide my thoughts. My assessment, which turned out to be correct, was that Secretary Hagel was forced out by a small group of President Obama's advisers. There is some history germane to the Hagel firing as well as his relationship to the other members of the national security team. Mr. Hagel had been brought to the Secretary of Defense position after his two predecessors wrote books soon after they had retired that contained some unflattering reviews of the President's and his advisers' conduct of foreign policy. It was thought that Hagel would be a noncontroversial team player who would merely follow the President's orders - as formulated by the White House insiders, including Valerie Jarrett and Susan Rice - without any pushback. For the initial part of Secretary Hagel's tenure at the Pentagon, they were correct. He executed the Administration's policies - flawed policies in many analysts' opinions - in Iraq and Afghanistan. In 2013, when the Syrian regime of President Bashar al-Asad crossed an Obama "red line" by using chemical weapons on rebel-held suburbs of Damascus, Hagel was confronted by the senior military leadership over the abysmal decision of the President to not act on his threats to punish the Syrians with U.S. military action. That failure to maintain American credibility has emboldened those around the world who now believe they can act with impunity without engendering an American reaction - Vladimir Putin and the Russians come to mind. It appeared that American military action was permanently "off the table." That changed when fighters of the Islamic State in Iraq and Syria (ISIS) moved into northern Iraq from northeastern Syria and almost without resistance seized Mosul, the second largest city in Iraq. The President was convinced to act to try and remedy the Administration-caused debacle in both Iraq and Syria, probably by the same advisers that developed the failed policies that got us into this situation. It was the Obama Administration's failure to reach an agreement with the Iraqis in 2011 to allow a residual force of American troops to remain in the country that created the conditions that led to the ultimate collapse of the Iraqi Army. See my earlier article, Iraq's second largest city falls to Islamists - fault of the United States? Likewise, it was the refusal of the Administration in 2012 to provide money, weapons and training to the secular Free Syrian Army (FSA), creating a vacuum gladly filled by al-Qa'idah in Iraq, which joined with other Islamists in Syria to form ISIS. Those two ill-advised actions - running for the door in Iraq, and refusing to assist the FSA when they needed support and had a good chance of success in removing the al-Asad regime - created the conditions under which ISIS has become a major threat to the region, and the United States and its allies. Chairman of the Joint Chiefs of Staff General Martin Dempsey has recently been quite vocal in his public statements, including a commitment to recommend to the President to re-introduce American ground combat forces into Iraq if the general felt the situation warranted it. That was almost a challenge to President Obama's White House advisers, or as they have been called, the "chairborne rangers." Secretary Hagel tried walking a fine line between the President and the military leadership. I suspect that posture was viewed at the White House as an act of disloyalty on the part of the Secretary. Secretary Hagel is a decorated and twice-wounded Vietnam combat veteran - I doubt he knows how to be disloyal. Secretary Hagel departs at a time when the military leadership at the Department of Defense is at odds with the White House and National Security Council over their inept handling of the fight against ISIS - including micromanagement of the air campaign - the future role of American forces in Afghanistan, and continued cutting of the military budget. The question is what happens next? According to media reports, the President will nominate former Deputy Secretary of Defense Ashton Carter to replace Hagel. The choice of successor is critical to the future conduct of American foreign policy - we are fighting two wars (more correctly, one war on two fronts), Iran has successfully out-maneuvered this Administration and will likely become a nuclear-armed state, the Russians have designs on portions (or all) of Ukraine, and the Chinese are rapidly expanding their military capabilities. I fear that the President is looking for a manager that his staff can manipulate - that is what they thought they were getting when they nominated former Senator Hagel. What we need is a leader who can take the advice of his military leadership - they are the professionals at conducting successful military operations - and go to the President and convince him of the measures necessary to execute effective foreign policy. The new Secretary must be able to marginalize the amateurs currently making policy. What we need, to paraphrase Michael Corleone in the movie The Godfather, is a wartime consigliere. The Secretary of Defense is not merely an administrator, but an active participant in the command and control of military operations. Since the passage of the Goldwater–Nichols Department of Defense Reorganization Act of 1986, the military chain of command goes directly from the President/Commander in Chief to the Secretary of Defense to the combatant commander. For example, orders in the war against ISIS flow from President Obama to Secretary Hagel to General Austin (commander of the U.S. Central Command). Note the absence of the Vice President, Chairman of the Joint Chiefs of Staff and the military service chiefs. The Chairman provides advice to the President and Secretary of Defense, and the service chiefs provide combat-ready forces to the combatant commanders. Mr. Carter, from all accounts, is a highly-qualified bureaucrat - he has served with distinction in a variety of positions in the Department of Defense - as well as experienced in academia and consulting. However, is he a wartime consigliere? We will soon see. According to an anonymous Obama Administration official, aircraft of the Islamic Republic of Iran Air Force (IRIAF) have conducted airstrikes against Islamic State in Iraq and Syria (ISIS) targets in Iraq. This means that ISIS is being attacked by the air forces of three distinct entities: the U.S.-led coalition, the Syrian Air Force and now the IRIAF. While that might sound like a good thing - more attacks on the enemy should be a welcome situation - it creates a dangerous situation. Many members of the coalition, primarily the United States, have no diplomatic relations let alone military contacts with Iran or Syria. Iran and Syria are close allies, in fact they have had a mutual defense treaty in place for decades. In Syria, coalition and Syrian aircraft are already operating in close proximity to each other. As an example, over the past week, there have been American and Syrian airstrikes on ISIS's self-proclaimed capital city of al-Raqqah in north central Syria. Al-Raqqah is also close to the flight routes to and from the embattled city of Kobani (also called 'Ayn al-'Arab) on the Turkish border. It is hard to believe that there is no coordination or some contact between the coalition and the Syrian defense ministry. You simply cannot have armed, high-performance military aircraft operating in close proximity to each other without some coordination. Things happen very quickly at the speeds at which these aircraft operate, all flown by young, aggressive pilots. There are a variety of American intelligence, surveillance and reconnaissance aircraft operating around the clock over Iraq with the capability to monitor all air activity over both countries (and beyond). These assets will detect any potential threat to American or coalition aircraft, and direct a reaction if necessary. The potential for a misunderstanding and a combat engagement is high. I suspect that because of political realities, there is a level of coordination between the Syrian and Iraqi ministries of defense. The Iraqi government of former Prime Minister Nuri al-Maliki was a close ally of the Syrian regime of President Bashar al-Asad. That alliance undoubtedly continues under new Iraqi Prime Minister Haydar al-'Abadi. The alliance goes further - both Syria and Iraq are close allies of the Islamic Republic of Iran. Some observers have lamented the de facto establishment of "Shi'a Crescent" extending from Beirut via Damascus and Baghdad to Tehran. Enter the Iranian Air Force. Iranian forces in Iraq are nothing new - they have had troops operating in a variety of roles in Iraq since the fall of Mosul to ISIS earlier this year. Iran deployed members of its capable Islamic Revolutionary Guard Corps (IRGC) special operations unit, the Qods Force. Although the official Iranian government line is that while there are Iranian "advisers" in Iraq, there are no combat troops - somewhat akin to the Obama Administration fiction that there are no American forces in Iraq in a combat role. However, on Arabic and Persian language social media, there are numerous postings that detail Iranian forces' operations in both Iraq and Syria. Granted, the Iranian airstrikes have targeted ISIS positions about 20 miles from the Iranian border inside Iraq. After the fall of Mosul, ISIS forces advanced rapidly down the Tigris Valley to the Ba'qubah area and then headed up the Diyala Valley towards the strategic dam at Jalula', as well as moving west towards the Iraqi Kurdish Autonomous Region capital of Irbil. 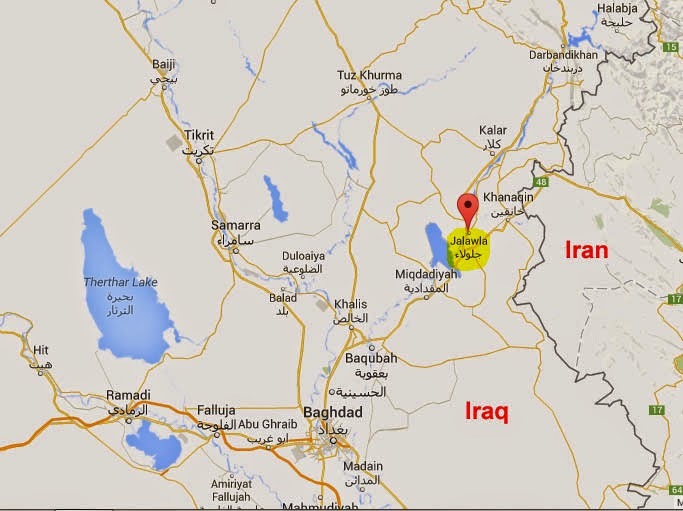 After some initial difficulties, the Kurdish peshmerga fighters were able to blunt the ISIS offensive. The Kurds, with Iraqi Army and coalition air support, were able to retake the strategic Mosul dam and are now pushing back in the Jalula' area. The Iranian airstrikes were in support of that operation. Just what does the coordination between the Syrians, Iranians and the coalition entail? Since the middleman in all this is most likely the Iraqi military intelligence service, I suspect that not only are details of air operations being shared, but whether we like it or not, our intelligence on ISIS is finding its way to planners at tactical air operations centers in Syria and Iran as well. Hopefully, we are getting some of their intelligence in return - I have no doubt that the Syrians and Iranians have useful, actionable intelligence on ISIS. Right now, ISIS is the enemy. In the future, Syria and Iran will probably be. Let's rid the world of the scourge of ISIS, then worry about the others. 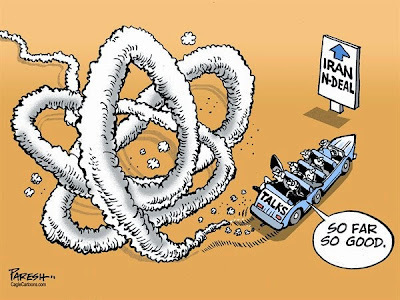 So, Iran may be an "unwanted ally," but it helps achieve our objective.